Much like avocado toast flatlays, we all know that anything perpetuated in the extreme becomes boring at best, off-putting at worst. Marketing clichés are no different. Here we break down the 7 worst offenders in true ‘snackable content’ style, designed to help you find the ‘low hanging fruit,’ finished with a healthy dose of irony. Let’s ‘pivot’ by ‘dipping our toes in the water’ and get this ‘ideation’ underway – no ‘on-boarding’ necessary. Just how many are you guilty of? Burned somewhere in the backs of our retinas are the sun bleached remnants of staged stock photos – complete with artificially whitened teeth and crisp corporate shirts. While this style of photography has long been synonymous with the B2B world, we’re calling time on its use. There are so many open-source, royalty free image sites, bursting with high-quality, modern stock photography, that reliance on staged stock just isn’t necessary anymore. Check out our favourites: Unsplash, StockSnap.io and Pexels. There’s nothing more overwhelming than being hit with a whole dictionary’s worth of terms and vocabulary you are entirely unfamiliar with. Clients and colleagues who aren’t used to marketing jargon are likely to switch off or even feel a little isolated – and who can blame them? Ensure that you have a glossary of terms, for new starts and clients, appended to all documents that contain them. Better yet – explain each term (SEO, PPC, above the line, below the fold, etc.) in layman’s terms in proposal documents and performance reports. Not only is it irritating for clients and prospects when you make bold assertions about your company being the ‘best’ of its kind, it can also fly in the face of the Advertising Standards Authority (ASA), putting you and your company at risk. The best way to fix unquantifiable claims is to not make them in the first place. However it can sometimes be wise to review your key messaging and advertising to ensure any claims you make can be backed up by evidence and data. 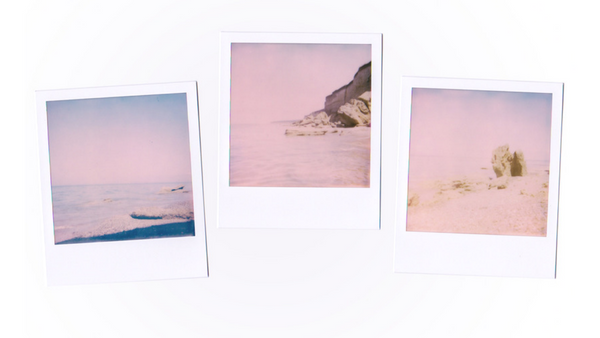 The classic polaroid picture: chic or cliché? Targeting sits beside the 4 Ps when it comes to the fundamentals of marketing. Saying that your business has ‘something for everyone’ is not only a massive marketing faux pas, but also entirely false. Mass marketing doesn’t exist, and it won’t exist anytime soon. The reason that mass marketing isn’t real is that no product or service, no matter how generic, appeals to everyone. If you aren’t sure of your target audience, spend time identifying and getting to know them. Once you have your niche, own it! Every marketer knows that there are times when colleagues in other departments suddenly think they’re marketers. “Sure, it’s all just fluffy puffery – I can do it too.” What sets a marketer apart from their colleagues? The ability to make justifiable decisions, based on evidence. Many marketers are guilty of making the same false assumption – that decisions based on gut alone are sound decisions. But targeting a new market because it ‘feels’ right is not enough. What makes good marketing decisions? Sound data and industry experience. We’ve talked a lot about the importance of slow content marketing and brands only speaking when they have something to say. Not only does constant unnecessary chatter add to the deafening noise, it dilutes your brand message and disengages prospects. Avoid social media spam by following the 4-1-1 rule – 1 self-promoting post for every 1 re-share and 4 related articles from other sources. This helps to ensure balance and relevancy. Furthermore, consider your resource capacity and post accordingly. Automation is undoubtedly one of the most ‘disruptive’ marketing technologies this decade. It can be a really effective way of managing your nurture funnel and converting prospects into your sales pipeline. However with so many points of friction, there’s a lot of room for error. You know those pesky auto-responses you get from companies on social media that are more ‘bot’ than ‘brand.’ Or email sequences that have you in the wrong stream altogether? Avoid these disengaging errors by ensuring each touch point is fully personalised and accurate. If you find your business or brand guilty of one too many marketing clichés and need support to put an effective strategy in place, please get in touch.